For five years now i’m been trying to come up with a way of summarizing what Rhizomatic learning means to me. It is one thing to have a number of students trapped in a room, or tied to me by a grade, who are forced to listen to me for hours on end until they come to some shared understanding… it is quite another to explain it to someone in the street. “Hey Dave, what’s your presentation about” “well… it’s kinda hard to explain, you see, there are these plants that live undergound… ” and then i go off and start to talk about how i want students to be nomads and ask semi-rhetorical questions like ‘why do we teach‘. If you have been following along on my five year odyssey, you’ll have been through all these chats and will know that I haven’t always been clear about it. If this is your first time here, and by some strange happenstance you just read those three links, you might still be wondering what exactly i’m on about. 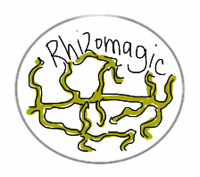 The challenge is that the rhizome, and rhizomatic learning is not exactly something i WANT to define. Defining it restricts it, and stops it from being a story that is useful to others – a story they can make their own. At the same time, i’m sure there are things that rhizomatic learning ‘isn’t’. So, given that, I’ve been looking for a way of talking about it that furthers the discussion, but doesn’t go about simply retorting to George’s serious criticisms as expressed last year during my presentation for the change mooc. Rhizomes then, are effective for describing the structure and form of knowledge and learning – bumpy, lumpy, organic, and adaptive. But they fail to describe how learning occurs, how novelty happens, and how a rhizome becomes more than a replication of itself. Rhizomes can be a helpful way to think about curriculum, to think about how we develop educational content when we are connected (dang networks again) to one another and to information sources. However, beyond the value of describing the form of curriculum as decentralized, adaptive, and organic, I’m unsure what rhizomes contribute to knowledge and learning. I think lots of things about curriculum construction (or lack thereof), of how we should keep curriculum as the communities that we have, but those are really what I’ve been talking about in other places. If someone were to gather up the excellent work of folks like Tobey Steeves, Mary ann Reilly, the ‘sweedish rhizomatic folks‘, I have no doubt that you could pull together something that someone might call ‘a learning theory’ for rhizomatic learning. Others would disagree. I am not concerned. Uncertainty in our cultures has been covered by convention for many years. The veneer is peeling. To teach someone ‘the way things are’ is only to play power. Uncertainty is something that needs to be in our teaching, in our curriculum and set as a goal for our students. Now, saying that… there are tons of conventions that we need to have our thoughts so that we can talk about anything. I am currently learning how to make furniture. I have some sense of what people mean by a through mortise and quarter sawn oak. It took me about ten times reading through the same material before i came to understand what those words might refer to… at least enough to understand, for instance, how hard a particular chair might be to make. I’m starting to think of this as ‘habituation’. Of getting to the point where i have become so worn down on trying to visualize what a thing might mean, that it starts to come without me thinking about it. I have a pavlovian response to that word (sign). I found myself using the word ‘mortise’ in conversation with someone today before I remembered that it was a special word that they might not know. I no longer ‘think about it’. These are the kinds of habituations that are required before and during any learning venture. They are the stuff that discussions of uncertainty is made out of… but they often need to be approached very differently. I have to say… i’m not a hundred percent convinced on this usage of the word. I mentioned it in our Change11 conversation with Dave Snowden and got quite abruptly brought up short. He responded by talking about how cab drivers in London, after several years of remembering the streets, actually have their brains ‘changed’. I’m not talking about this level of expertise at all… the VAST majority of the things we learn never become something that we do 8 hours a day. In the case of the cab driver… the fact that streets have names, the words used for directions and the idea that times and fares are important are a more apt comparison. That is a more usual level at which we take people into new domains of thinking. I tend to think of the habituation as best done as ‘cold water immersion’. Dive in… the conventions will become second nature as your body adjusts. You will start to become inured to the shock of the new context. Once that happens, you can bring your literacies to the point where you can prepare yourself for uncertainty. I am not troubled by the idea that we ‘replicate ourselves’ through rhizomes. Replicating ourselves is what being alive is all about. The rhizome talks to a ‘way’ of thought not to the content of it. George believes that networks are ‘real things’ in the world. I think they are conventions that we build up that allow us to talk about things. This is an epistemic difference in our views of the world. I think we wander through a sea of conventions, trying to share our experiences with each other. That we find new and more interesting metaphors that better approximate the world around us. That is, for instance, how I see science. Get a theory, keep trying to disprove it. There’s no ‘true’ in that… only current convention. George thinks things exist. For me it’s all metaphor. The rhizome is uncertainty. That doesn’t mean it ‘isn’t’. It has no start and no ending. It is complex… and as such, it resists definition. As a model for learning, it resists ‘core principles’ or ‘final outcomes’. It is an ongoing process of growing, of surprise and of change. As you probably know Dave, but just in case – there is a lot of work on experts, and how they codify knowledge, which reflects some of the stuff you and Dave Snowden are talking about. So if we take expert chess players (they like experimenting on chess players), then they interpret a board differently to us non-experts. They recognise bigger chunks and patterns, linked to a vast store of previous game situations. So, if you show and expert and a novice a quick pic of a board, the expert will be able to reproduce it much better than the novice. They are remembering it as one chunk eg Kasparov’s defence in game X. Novices are remembering it as many different chunks eg “there was a black knight next to the white rook” etc. So this is what habituation may mean (and it’s probably what cabbies are doing) – beginning to have patterns and chunks that you process. Interestingly if you show an expert chess player a board with the pieces placed randomly ie not a mid-game position, then they recall it with the same accuracy as a novice, because it isn’t linked to a pattern. Oh, and could you knock me up a rocking chair? @frances – Yeah… i certainly couldn’t take the position that i take and suggest that someone else is ‘wrong’. George’s has done some excellent work, and the story that he is telling has had, i believe, a very positive effect on people’s conception of education. It’s a story that has very much influenced my own work, it doesn’t happen to work for what i’m trying to do. Thanks for the reminder. @martin – The pattern stuff is particularly interesting… in the expert position. I think what i’m coming to terms with is that I’m currently interested in the non-expert version of learning. The vast majority of the things i will ever learn… i will never be an expert at (if anything). I like the uncertainty in your post Dave and what I like about rhizome is that it suggests growth as well as a structure. Playing with the metaphor a little, each rhizome is an occurrence within a species. we could then think of learning as being a garden or even an ecosystem of rhizomes. This could also be characterised (or IS in George’s world) as a network. Both views can add to understanding and help us make change. Hey Dave, you are talking to the woman who has asserted that connectivism is a phenomenon as opposed to a learning theory http://www.irrodl.org/index.php/irrodl/article/view/902/1664 no need to assume that I think George is ‘right’. Neither of course is he ‘wrong’. Since I posted my earlier comment, I have had a meetup with the inestimable Cristina Costa http://knowmansland.com/ who is approaching her final assessment before her viva on the excellent PhD work she is doing on the practice of academic researchers using the participatory web. Cristina is is conducting a Bourdieuian analysis of these practices and I am wondering if Bourdieu’s concept of habitus might relate to your ideas on habituation. You can check out Wikipedia on this (flagged but still useful). I think for me habituation brings up questions of agency that worry me a little as a model for learning. I don’t know enough about the field it comes from, except that it’s commonly illustrated with startling animal science experiments involving the way the brain adapts to external stimuli. OK, so I get that this is a kind of learning, but it feels so … helpless. The point of habituation is that it seems to end the capacity for reflexivity. Once you’re no longer startled by the sound of the shrill whistle, you no longer think about either the whistle or about the process that enabled you to get used to it. So I think you’re right that this is a problematic—but really interesting—metaphor for having learned something to the point that you can practice it unselfconsciously. I can’t make furniture, but I can relate to this as I’m notoriously slow to learn to use new things. Spreadsheets. I never fail to feel the shock of the plunge into icy water when I open one, and it’s because somehow I can’t develop an instinctual sense of their architecture, their rules, the ideas that bind them together. I guess this means my brain just isn’t adapting. What I’m wondering is if that’s actually quite a good thing. In a spreadsheet, I never forget how tiny I am, I never mistake myself for expert at anything at all. (In fact, the eruption of self-doubt is pretty impressive, and reaches boiling point after about five minutes.) So I really have to think carefully, every time, about what I’m doing. My sense is that this process makes possible something important and purposeful about learning that goes well with your opening point about the value of uncertainty. In schools you could discover a lot of rhizomatic learning. Most students learn ‘how to study’ in a rhizomatic way. Thanks for the post, and for the conversation it has started. Metaphors, like clothes, shouldn’t be worn for too long before changing them. The desktop metaphor of the Mac OS seemed pretty natural to me, until I stepped into the Amiga’s garage and approached the “Workbench”. The difference between the white collar and blue collar environments, and the loaded visual metaphors they employed, was a revelation. We can compare unfamiliar things to things that we already have some grasp of, but we have to constantly turn it around in our hands (and in our mind) and try to see it from different vantage points and perspectives (which is easier to do with the help of others, who can report on what they see from where they stand). The best conversations happen in the alleyways between established ideas. We have to keep exploring, and we have to keep talking about what we are finding, using different languages to describe what we see, so we can avoid the trap that any one language can become. I wonder if, for complicated concepts, the best we can do is beat around the bush together and try to come to a shared understanding of the idea of “bushness”, without expecting that we will be able to understand the bush completely. Once we think we’ve grasped it, it might have flowered, or shed its leaves, or we might have discovered that the most interesting story is underground, or that it cannot be understood as a separate, singular thing. Let ten thousand metaphors bloom! Things that pop into mind. Improvisation (music or any form), physical, emotional and intellectual responses to changes (in environment, pattern, temperature, anything), cultural norms around certainty, change, ambiguity, flexibiity). Now I feel a Haiku coming on, but I’ll resist. Dave, you’ve much here to comment on, and likely, I will post a response on my blog so as not to take too much space here. However, I want to address one critical comment that George makes about the rhizome as metaphor: However, beyond the value of describing the form of curriculum as decentralized, adaptive, and organic, I’m unsure what rhizomes contribute to knowledge and learning. He appears to be suggesting that the rhizomatic metaphor says little or nothing about how to address the decentralized, adaptive, and organic world, instructional and otherwise. I think this is an error. While it would be a mistake to look to Deleuze and Guattari for a pedagogical blueprint, they do refer to two principles that say much about knowledge and learning: cartography and decalcomania. These may be the least discussed of the rhizomatic principles, but they are important, especially for education. Cartography in Deleuze and Guattari suggests a process of mapping against shifting, decentralized, adaptive, and organic reality, and then remapping, and remapping again. Always testing reality, and not looking for the right answer, but for a useful answer. Making markers, placing anchors, looking for reference points to see where they take us, all the while knowing that the anchors must sooner or later be hauled up or repositioned as the tide shifts. Of course, this is all metaphor rather than formula, but that is the attraction of the rhizome, at least to me. The metaphor of cartography, then, suggests that knowledge is never permanent, but always provisional, useful at best, and harmful when it becomes dogma. I suspect George would agree with this, and it seems quite consistent with Connectivism and other strains of post-structuralism. Then decalcomania is even more pointed. For those who may not know, decalcomania is an art process of transferring a pattern from one place to another through some medium. Children doing handprints on paper in kindergarten is a common example. This is a marvelous metaphor for a theory of knowledge that I’m seeing in Downes’ discussions and Olaf Sporns’ work in neuro-physiology. If knowledge is a network configuration, then it is not transferred as some tiny nugget from teacher to student. Rather, it is a pattern, a function of networks, that the more or less sensitive and receptive fabric of the student’s mind echoes more or less well in and through its encounter with the teacher’s words, actions, lessons, props, classroom environment, amount of time til lunch, the attraction/distraction of the child beside, etc. Cartography is a marvelous metaphor that captures remarkably well a very difficult concept, given that most people think knowledge a packet that is encoded and packaged by a sender, then transferred to a receiver across some medium, and finally decoded by the receiver. Cartography helps me visualize how patterns can echo throughout an ecosystem (classrooms, nations, frog ponds). I think this way of envisioning the spread of knowledge is entirely consistent with Connectivist epistemology, or what I understand of it, and this metaphor can be explored in great detail with huge implications for pedagogy. For example, it renders obvious why 30 different students learn 30 different things from the same lesson. It’s like their 30 different handprints: same paper, same paint, different prints. I’ll write more about this later, but my students have finished their assignment, and I have to get back to teaching. Later. Wow. Great post and the comments make me think, especially Keith Hamon’s response. When he writes, “Cartography helps me visualize how patterns can echo throughout an ecosystem (classrooms, nations, frog ponds)”–I wonder about George’s comments about the limitations of rhizome to explain how learning occurs–and I think ‘Yes, all quite right.’ Rhizomatic learning isn’t limited to the idea of the rhizome. Rather the patterns Keith writes about, the lines of flight (2 others types of lines as well) , and the six conditions as suggested by D & G represent a learning un/theory–that which can be broken/remade at any moment. Rhizomatic leaning is the ins and outs of stability (codification) and slippages. It’s tacit and explicit ways of knowing. It’s the world of both/and. I am always fascinated to read what Keith has to say about rhizome as metaphor as it seems to come from such a deep knowledge of the subject. I wondered if he could comment on my cartography in response to his words. I am thinking about the intentionality of the learner – who creates a map, say a blog post or essay, to share with teacher/other learners – or who takes their knowledge from classroom to workplace (or vice versa). Certainly, in the first example, there is some intentionality that is not adequately explained by connectivism’s approach to networks. Am I misunderstanding what you have said about the rhizome metaphor? Frances, intentionality is a wonderful angle from which to approach this discussion as it provides another point of entry into the rhizome. If I understand you correctly, you are suggesting that intentionality is a feature of an individual, or in the terms of connectivism: a single node within a network. Our conventional notions of intention are based on a reductionist assumption that individuals are … well, individuals—discrete entities capable of entirely self-sponsored, self-motivated, self-generated behavior. But it is only the point of view from our social scale that makes any individual appear to be a single node. Even if we individuals are capable of this kind of independent action, this intentionality, it still emerges from the most complex, rhizomatic structure that I know about: the human mind. And I for one strongly doubt that our intentions do emerge wholly from our minds alone, as rich a muck as they are. Rather, I think our intentions are much more like the intersections of myriad lines of thought and action, perhaps mostly from ourselves, but also from our environments. For example, I have formed intentions about this conversation we are now having—intentions that for convenience—strictly for convenience—I call mine, but I really can’t isolate my intentions from Dave’s original intentions to write this post, George’s comments months ago, or yours and Mary Ann’s comments a few days ago (and thanks for the compliments—I’m flattered by you both). If I am to be brutally honest with myself and you, my intention to respond emerges as much from the compliments as the intellectual engagement. I want to think of my intentions as pure and purely intellectual, but if I did, I’d be lying. I think most of our intentions are just this complex, just this rhizomatic. Or did I misunderstand you? I’m just rhizomatic enough to have an asignifying rupture. I agree that intentionality emerges from more than just an individual ‘forming intentions’ and to some extent may be seen as a local network effect but my criticism of connectivism is that it tends to overplay the network effect and underplay human agency. That is why I find cartography as you present it her a useful concept in learning and how others may (or may not) support the learner. I have already made comparisons between connectivism’s and Actor Network Theory’s treatment of networks of human and non-human objects http://usir.salford.ac.uk/9270/ and I am beginning to see that rhizomatics (if there is such a thing) also deal with this subject. The question for me is how do they deal with connections between humans and non-human in understanding learning? Whilst I can recognise that the non-human has interests, agency, etc. I am much more concerned about maximising human fulfilment and happiness than putting the non-human centre stage. As a participant in and observer of the participatory web, I see old power relations played out in new networks eg recommender system and analytics but somehow denied in a context where the machine is seen as amoral and humans as ‘democratised’. Here endeth the rant. Sorry to be so late in replying to the fine comments here. Frances, I have too long a response to make a comment here, so I’ve posted the first of my thoughts to my own blog. Please jump there to continue this fine discussion. That’s a selfish request. I’m learning much. Thanks, scholars, and Dave, I apologize for hijacking your post, but it was so much fun.